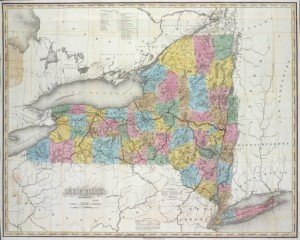 New York State has one of the richest histories in the United States, a tremendous opportunity for education, economic development, and creating links to our shared past. This site, now in its fifth year, hopes to offer an opportunity to collaborate and connect history lovers and history professionals in order to help foster a sense of shared mission and purpose among New York historians of every stripe. Our audience are those interested in New York’s history, including lay people interested in learning more about the history of the state, history professionals interested in keeping up with what others around the state are doing, educators and academics interested in making connections to state and local history, and those concerned with historic resources more generally. This site is the work of 20 contributors from around the state and across disciplines. I am a student currently enrolled at American University of Washington D.C. I am taking a class in Social Media for which I have to write a guest post on a blog. My major is Art History and Business and I was interested in writing for your blog. What do you think?